Little Abhishek, Divya, Priyanka and Shiva were very happy to get admission to a good public school to pursue their education. These children of HIV infected parents live in an orphanage in Gurgaon. However, because of starting their educational journey at a slightly later age they were finding it difficult to cope with their science and math syllabus at school. 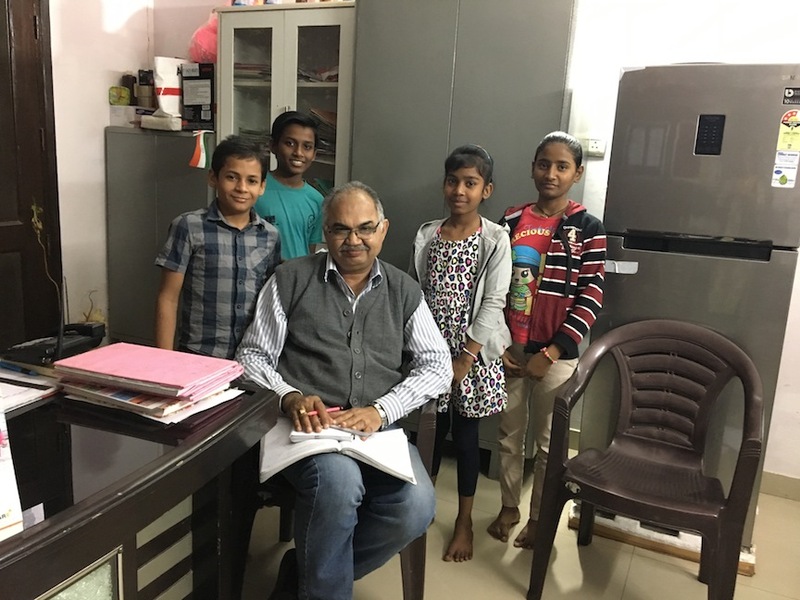 As a part of Samvedna Senior Care’s Community outreach program our club member, Mr. Chadha, a retired Government Servant, decided to volunteer his time to teach these kids mathematics. Ever since he has started teaching these kids, they are able to do their homework and they are also grasping the concepts. Dementia as we know is a condition where the person exhibits a cluster of symptoms from problems with language, speech, memory to personality, behavior and mobility. Despite Dementia being a progressive condition, treatment has never been ‘curative’ in nature. It has always required a balance of both: pharmacological and non-pharmacological approaches, including use of behavior modification techniques for slowing down the progression of the disease. Losing a spouse is one of the most painful experiences one can go through. You may feel completely numb, or in shock; the world may pause around you. Losing a loved one changes your entire life, especially when the loved one was also your best friend. You may feel lost and stuck, uncomfortable making even the most minor of decisions. But your life does not stop there; many things have to be handled and closed which the surviving spouse may find overwhelming. House Help- Aunty lets go, it’s not good to stay without taking bath . 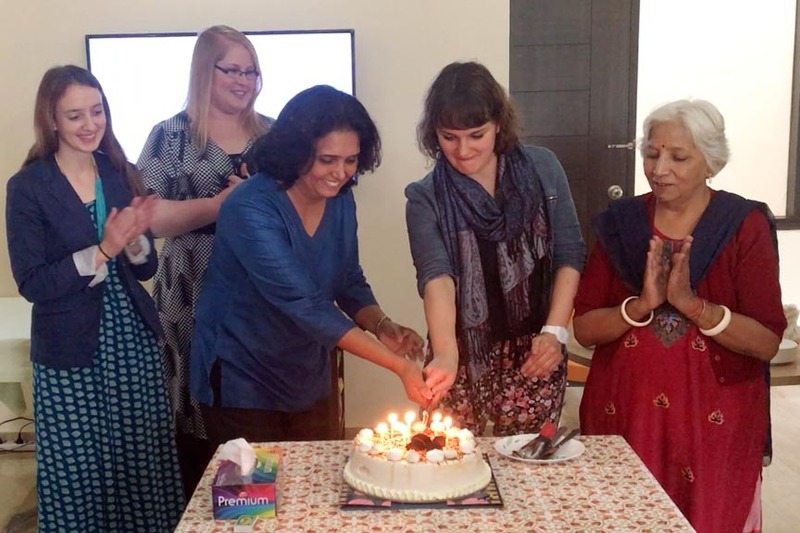 Mrs. Rita- No , I sa..(said) no why don’t you understand , you better go otherwi.. no.. go..
Samvedna gets a visit by Cherie Blair Foundation on its 3rd birthday! Samvedna Senior Care turned 3 on 6th November! 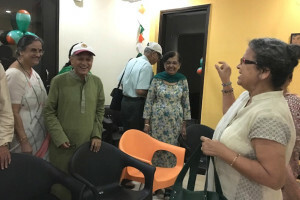 To celebrate this joyous day we had a get together at our senior club – Great Times by Samvedna. 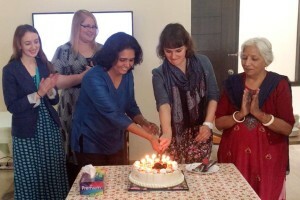 Our guests, apart from our valued members, included a team from the Cherie Blair Foundation. Our founder Archana, who was earlier associated with their women entrepreneurs programme, invited them to the club so they could learn more about our work and also get a chance to meet our members. 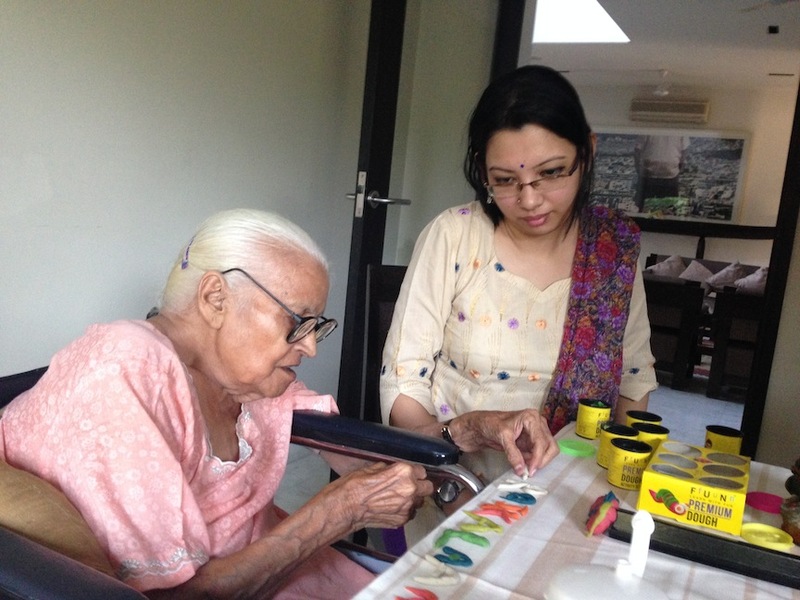 My journey of being a Care Specialist began in the rural parts of Goa where I used to screen seniors with memory loss and mild confusions. I have also worked with their families and made them aware about the condition called Dementia. Now since last two years, I have been with Samvedna Senior Care and have been visiting people with dementia and closely working with them. In both the settings, be it rural or urban the common need amongst the patients is love, assurance, support and care. 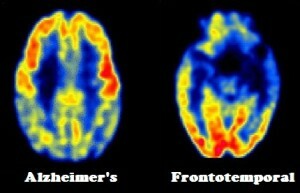 Despite the cognitive decline, the underlying needs of our loved ones are the same. 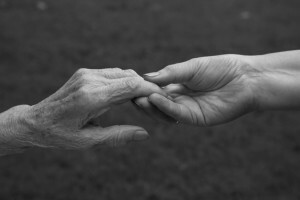 The emotional security which we as caregivers often have difficulty understanding. Years back my parents shifted to Mumbai for making a living. 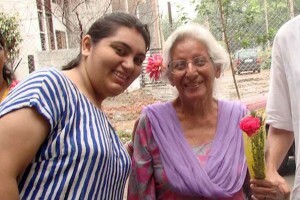 Now after working for many years, they decided to come back to their roots and shift their base to Gurgaon, our hometown, where I live at present, with my wife and children. Though it was difficult to move back from a place they made their own, they were looking forward to a new phase of being closer to their children and grandchildren. Even we were looking forward to this, as our children as well would get to see a new side of life.